KINSHASA, Congo (CNS) — Catholic church leaders in Congo have questioned the official outcome of the Dec. 30 elections, saying the officially published results “do not correspond with the data collected” by the church’s 40,000 observers. 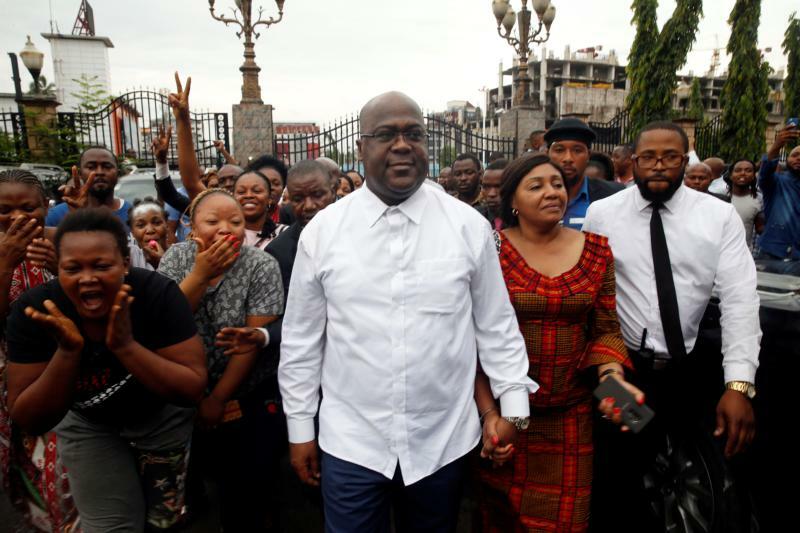 Congo’s Electoral Commission declared Felix Tshisekedi the new president, with 38.5 percent of votes on a 48 percent turnout, making him the first opposition challenger to win power peacefully since Congo’s 1960 independence. It made the announcement late Jan. 9. Reuters news agency quoted unnamed diplomats Jan. 10 that data compiled by the Catholic Church, as well as by “all major observation missions, including from the African Union,” suggested Martin Fayulu, a former oil tycoon who led in pre-election polling, had won an absolute majority in the Dec. 30 poll. A Jan. 10 statement from the Congolese bishops’ conference said it had observers in all voting centers. Besides polling station observers, the Catholic Church deployed over a thousand long-term monitors to cover the elections. The vote, delayed multiple times, replaced President Joseph Kabila after 18 years in power. His second and final term expired in 2016. Catholics make up two-thirds of Congo’s 67.5 million inhabitants, according to the Vatican yearbook. The church was involved in preparing for the elections, in line with a repeatedly delayed 2016 church-brokered accord between opposition politicians and the Kabila government.